The timeline of the setting is somewhat nebulous. There are some dates given in the various Dragon Magazine articles detailing the various factions of the setting, but the dating convention being used is never spelled out. If one takes the years given as CY, then the Sundered Empire material takes place more than four hundred years in the future even of the latest official canon. If it's some other dating convention, then how does it fit temporally with the Flanaess setting? Is this answered anywhere in the material, and I've just missed it? The material seems very scant on names of geographical features. We are told of a Burning Desert and a Blasted Desert in what is marked on the Chainmail map as "the southlands", and not much else that I've seen. 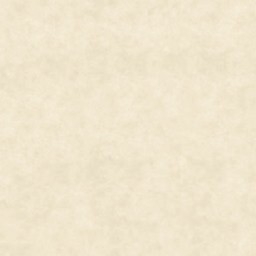 Anyone know of any other geographical information contained in the Sundered Empire articles? I'm just baffled by the explanation of Naresh in Dragon 289. The description just doesn't seem to fit the geography. First we're told the gnolls "crossed...beyond the mountains" where they found "a lawless region well away from civilization" and claimed "a section of the forest", and they were said to lure the minotaurs "deep into the forest" to defeat them. South of the area where the gnolls are is rumored to be "a strong nation ruled by dragons". This isn't so much a problem as an issue of speculation because there are several candidates. The elven empire of Ravilla is sometimes called The Dragon Empire, there's the dragon-ruled island in the middle of the Celestial Sea, and "ruled by dragons" could, if one stretches, be taken as either a distortion or a poetic embellishment of the Celestial Imperium itself. 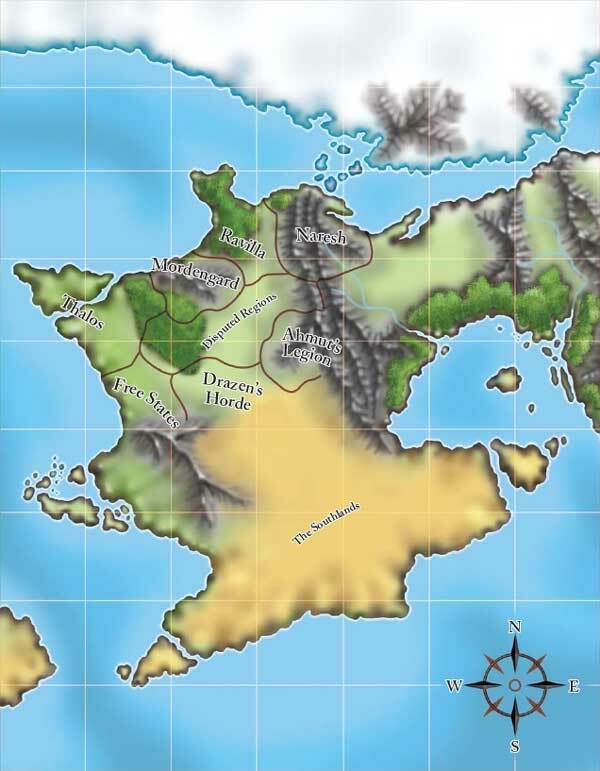 There's also the dragon-ruled area in François Marcela-Froideval's Black Moon Chronicles region, but much as I would love to use that as the tie-in, that would be on the west side of the mountains, and the gnolls should be on the east side at that point. Anyway, that's how I spend my evenings. Speculating and trying to put the pieces together on stuff like this. Anyone have any light to shed on these things? The calendar in the Sundered Empire setting dates back to end of the Demon War approximately a thousand years ago. Cthulhudrew did a yeoman's job putting the dates from the Dragon articles together in this thread. We can link the Sundered Empire to the present day in Oerth with confidence because the Kilsek drow are presented as recent arrivals there, and they only left the Vault of the Drow after the Greyhawk Wars (Lolth sacrificed her newly won hold over Geoff and Sterich to end the civil war there). They arrive in Western Oerik shortly before, but the same year as, the god Stratis is killed. I'm pretty sure that reference is to Shaofeng. When you take that reference along with the brief mention of Ryuujin in Dragon #277, it seems as if Oerth's asian-themed nations are ruled by dragons of some sort -- presumably lung dragons based on Expedition to the Ruins of Castle Greyhawk, though the Miniatures Handbook does have the dragon samurai prestige class which is based on the traditional D&D dragons. Do you have a source for that parenthetical? According to the Sundered Empire material, the civil war was ended by the dissolution of house Kilsek, not by Lolth giving up the territories on the surface. You're right about the post by cthuludrew. I had found it in my searching, but unfortunately it still didn't give any point of reference. The end of the demon war being year 0 makes sense, though, and does fit. Actually, Raymond, I think the map reflects "current day" boundaries. With only a little fiddling, it does fit pretty well. It's from Fred Weining's Vault of the Drow article in Dragon #298, which tied in with the Sundered Empire article in the same issue. Page 84: "The nobles might have destroyed themselves entirely had not the Queen of the Spiders intervened, though the cost was great to both Lolth and the noble houses. For her, the price was the loss of her holdings on the surface of Oerth, but the price she exacted from her most devoted house was even greater - Kilsek was sent into exile." I'm sure there are forests too small to be shown on the map. ..and that The Southlands are not just sand and rocks. Talk about a map that is diametrically opposed to "interesting". Definitely needs some livening up. Oh, and livened up it will be. I mentioned this over on the Piazza a while back, but for what it's worth: the way I look at it, the Chainmail map of the Sundered empire is sort of an in-game map, depicted as most of the PCs and NPCs would understand it. The description of the areas specifically say that there are s'posed to be inhabitable areas south of the desert, but, the map doesn't really reflect that. They just sort of made the whole thing seem to appear to be the desert. Which, to most people of the Sundered Empire, would be something close to the truth. I see it as an in-character map, essentially. Grognard - based on the work that CthuluDrew did, I did some back-calculating, and posted a similar (and derivative) work in this thread at the Piazza. Looking back, it's a little out of place in that thread. Also, based on the recent timeline work by Tarelton here on CF!, I realized that my calculations may be off by a year, due to the Year-0-thing. Anyway ... I think that the period can be pinned down to being fairly contemporary, but, the size of the nations and their precise borders, whatnot is similar to the fact that the Suel Empire and Baklunish Empires are often shown on maps though they don't exist anymore. They're approximations, at best, and I think that it's fairly okay to fudge the borders around a bit. In my own preference (and IMC) it's done to include the Froideval works referenced in the southern demesnes of the Dragon Annual '96 map. For what it's worth, I took Ravilla and ported it to Blackmoor. Apart from that, I like the sandbox aspect of the Chainmail setting. If I was running a game on Oerth, it would either be in the Aerdy, or there.